A quarter of a century after the April 1994 genocide, Rwanda is prospering. The tiny, landlocked land with a population of little more than 12 million offers the world an image of stability and contentment. The success story is largely seen as the handiwork of President Paul Kagame, says Patrick Hajayandi, a researcher with the South African-based Institute for Justice and Reconciliation. “He did a tremendous job in restoring the country in terms of development, in terms of leadership,” Hajyandi told DW. Rwanda is also a country whose domestic and external policies are shaped by the horrendous experience in a very significant way. “We can’t overstate just how important the 1994 genocide of the Tutsi remains in the mind of Kagame. 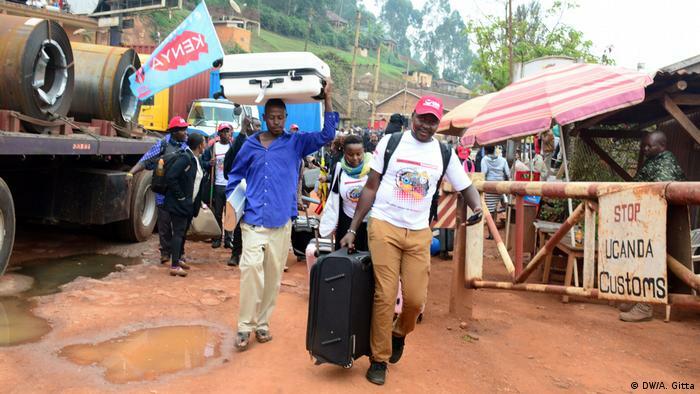 This Rwandan government is the first to try to address socio-economic inequality across the Hutu-Tutsi divide,” says researcher Phil Clark from SOAS at the University of London. This mindset is at least partly at the root of the regime’s authoritarianism. In Kagame’s view, political dissidence breeds unrest. The media, which played a sinister role as enabler of the genocide, have to be curbed. Human rights do not figure prominently on Kagame’s political agenda. Accusations and counter-accusations of support for the opposition and arming of rebel groups have been flung back and forth across the borders of these countries for some time now. Recently, tensions reached a new peak when Kigali closed down a busy border crossing with Uganda. Ugandan political analyst Mwambutsya Ndebesa, from Kampala’s Makerere University, detects a regional struggle for power. “They probably have issues as to political hegemony in the region,” he says, adding that there are also issues of personal animosity. Ugandan President Yoweri Museveni and Kagame go back a long way. They used to be allies. Kagame was once a key figure in the rebel Rwandan Patriotic Front (RPF) group that helped Museveni take power in 1986. RPF, now the ruling party in Rwanda, grew out of Museveni’s own National Resistance Movement (NRM), and was actively supported by Kampala when it invaded Rwanda and put Kagame in the leadership position in 1994. Since then, relations between the former friends have soured. “President Museveni and his generals think that Rwandan leaders owe them something, because they helped them in overthrowing the Habyarimana regime and stopping genocide,” says Christopher Kayumba, from the University of Rwanda. Kagame chafes at being treated like a protégé when his ambitions run to more power in the region. 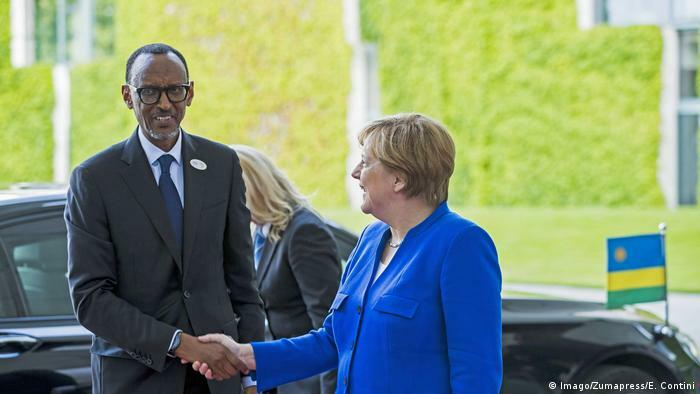 But Museveni is not the only African leader with whom Kagame is at loggerheads. 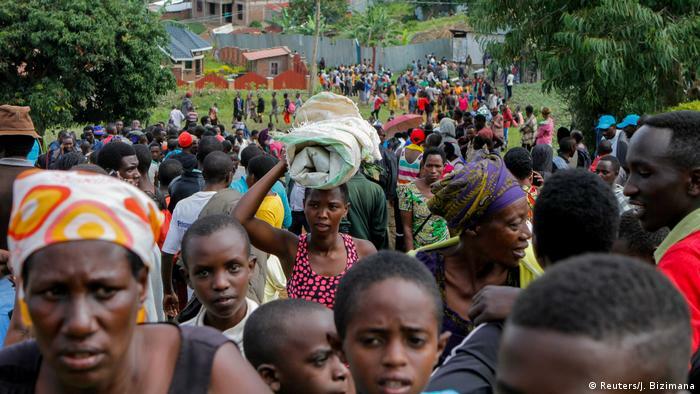 Tensions with Burundi have also risen in the last couple of years. Personal animosity between Kagame and the Hutu president of Burundi, Pierre Nkurunziza, plays a role here, too. Burundian researcher Patrick Hajayandi feels there are other, more compelling reasons for Kagame’s hostility. “While in Rwanda they talk about being Rwandans only; when you discuss this with people, they will tell you that there is a certain level of exclusion of the Hutu,” he says. According to Hajayandi, in Rwanda the Hutus are seen as the authors of the genocide and are still regarded as not to be trusted. Burundi’s greater success in integration represents a threat to Kagame, he believes. The DRC to this day bears the brunt of events not necessarily of its own making. “There is no doubt that what continues to happen in Congo is linked to what happened in Rwanda in 1994. And we’ve seen eastern Congo in the last twenty years suffer the constant invasion of both the Rwandan and the Ugandan militaries, and Uganda’s and Rwanda’s use of proxy rebel forces,” Phil Clark told DW. Some fear that an increasingly volatile situation in the region could explode into violence. But it is unlikely that Western donors, reluctant even to demand more democratization from Kigali, will put pressure on Rwanda to get along with its neighbors. While Rwanda is still dependent to a large extent on western aid to finance its budget, Kagame is an expert at playing on the West’s weaknesses, Clark says. Turning Rwanda into the story’s villain would put paid to this strategy. The African Union has also proved unable to help end the tensions. The East African Community (EAC) appears doomed, considering that Rwanda, Burundi and Uganda make up half its member states. Analyst Christopher Kayumba calls on Western media outlets not to focus only on political leaders. “Make sure that you bring the voices of the ordinary person to bear so that the can put pressure on leaders to take a pro-active interest in solving these conflicts peacefully,” he says.